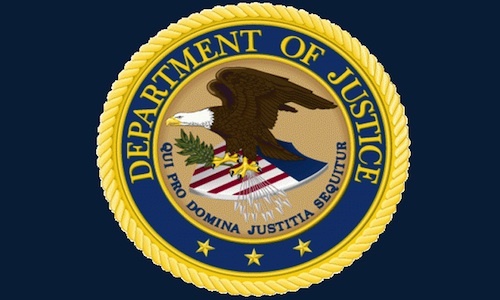 In fiscal year 2014, the Justice Department obtained roughly $3.1 billion in recoveries stemming from the housing and mortgage fraud claims, the most ever recovered in a fiscal year for that sector. The government has now recovered $4.65 billion over the last five years from financial institutions whose misconduct contributed to housing and mortgage crisis. Bank of America – $1.85 Billion: BofA acknowledged that it submitted false claims to Freddie Mac, Fannie Mae and the Federal Housing Administration (FHA) in connection with the underwriting, origination and quality control of residential mortgages. The $1.85 billion was just another part of the settlement that included a $5 billion fine under the Financial Institutions Reform, Recovery and Enforcement Act (FIRREA) and $7 billion in relief for BofA consumers who lost their homes due to the alleged fraud. BofA’s global resolution was worth $16.65 billion total. JPMorgan Chase – $614 Million: JPMC allegedly submitted false claims through the origination and underwriting of non-compliant mortgages that were submitted for insurance coverage through the Department of Housing and Urban Development (HUD), the FHA and the Department of Veterans Affairs (VA). These non-compliant mortgages led to substantial losses for the FHA and VA.
SunTrust – $418 Million: Between 2006 and 2012, SunTrust allegedly originated and underwrote non-compliant mortgages to be insured by the FHA. It also failed to use effective quality control measures to identify non-compliant mortgages, and failed to report the non-compliant loans the company did identify to FHA. SunTrust also paid out $500 million in relief to consumers, $40 million to state governments and $10 million to the federal government in addition to the $418 million to settle civil mortgage fraud charges, bringing the total paid under the settlement to $968 million. U.S. Bank – $200 Million: Between 2006 and 2011, U.S. Bank effectively ignored lending requirements by originating and underwriting mortgages that didn’t meet FHA requirements. U.S. Bank acknowledged that its conduct caused the FHA to insure thousands of bad loans that later resulted in substantial losses. The financial sector of the nation’s economy continues to be a hotbed for misconduct and fraud. Now more than ever the government is relying on whistleblowers to expose any wrongdoing by financial institutions. In a successful case, a whistleblower is eligible to receive a share of any recoveries as well as the gratitude of the nation for helping save taxpayer dollars. This entry was posted in Mortgage Fraud on November 23, 2014 by Diane Marger Moore.